Applying a hair conditioner helps improve the texture and appearance of your hair. However, you need not rely on store-bought hair conditioners available in the form of leave-in creams, gels, sprays, etc. that should not be applied on the roots. You can make your own natural hair conditioning recipes at home. A conditioner can work as a great hair care product by keeping your hair strong, healthy, and attractive. These hair conditioners are particularly useful when dealing with dry, frizzy hair. The following hair care recipes are to be used on damp hair right after shampooing your hair. When you choose and apply any of these recipes, make sure you leave it in your hair for a few minutes. It is better to use these recipes if you are staying in the house for a while and not leaving for work immediately. • Combine equal parts of organic honey and water. Wash your hair with this solution after you shampoo your hair and rinse it off with water. Preferably, use cold water as it makes your hair appear shiny, too. • Rinsing your lustrous locks with a cup of water mixed with a tablespoon of apple cider vinegar helps remove product buildup from your scalp. Plus, it facilitates hair growth, and cures problems like dandruff and itchy scalp. It is suitable for all types of hair. You may also add a small amount of herbal tea in this recipe. • You can prepare another homemade hair conditioner with ACV. For this, you need to fill a quart jar half-way with herbs like chamomile (for blonde hair), nettle or rosemary (dark hair), elder flowers, comfrey root, etc. Next, pour apple cider vinegar in the jar to fill it completely. Set this mixture aside for a couple of weeks. Shake the jar daily so that the ingredients mix well. Finally, after two to three weeks, strain the solution and add a few drops of your favorite essential oil in it. When you use this hair conditioner, make sure you mix four parts of distilled water in it in case you have oily hair; dilute with six parts of water if you have dry hair. • Boil a pint of water and steep one teaspoon each of dried rosemary leaves, chamomile flowers, calendula flowers, lavender flowers, and burdock root in it for half an hour. Strain and cool the liquid. Next, mix one tablespoon of vinegar in it and use the resultant solution as a final rinse. Here’s a video showing how to make a herbal hair conditioner at home. 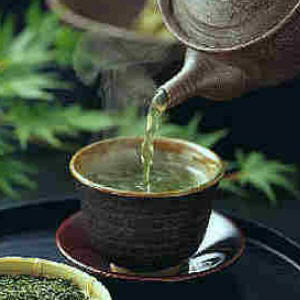 • Put a handful of mint leaves or mint tea bags in two cups of boiling water. Let the herb steep for 10-15 minutes. After shampooing your hair, rinse your hair with this solution and then wash it out. You can prepare a similar hair rinse with green tea. • Spray a little olive oil (you may mix two drops of an essential oil in it for better smell) in your hair towards the middle and ends, not the roots. Wrap a plastic bag around your hair, leave for 15-20 minutes, and finally, wash your tresses to condition dry and frizzy hair. • You can rinse your hair with flat beer and then wash it out with water after about five minutes to add shine to your hair. In case you want to deep condition your hair before using shampoo, apply a combination of half a mashed avocado, half a teaspoon of extra-virgin olive oil, and three drops of lavender essential oil in it. Leave this recipe on your mane for at least 10-15 minutes and then wash it off. Similarly, you can deep condition your hair, especially the ends, by applying a mixture of half a cup each of plain yogurt, mayonnaise, and an egg white, letting it sit in your hair for about 30 minutes and then rinsing your hair as usual.